Hola amigo! We are Tina and Jaime, we would love to help and to know more about you. 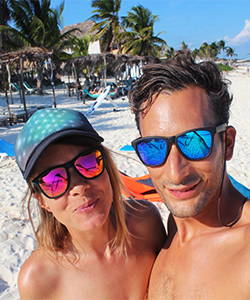 Feel free to ask any question you may have about your trip or any topic related to kitesurfing in Mexico. In order to provide a better advise and service, send us all your information as possible and details about your trip. Which destination are you visiting? Travel dates? Kite level ability? Do you need kite lessons? In case you need accommodation, which is your maximum budget per night? How many persons? Any extra service? Most of the time we are giving kite lessons, guiding tours or just kiteboarding. Please, send us an email or fill this form to contact us, because sometimes we can not answer the phone. We will answer you with an email in about 24 hours.